Pan Am's holding company, the Aviation Corporation of the Americas, was one of the most sought after stocks on the New York Curb Exchange in 1929, and flurries of speculation surrounded each of its new route awards. 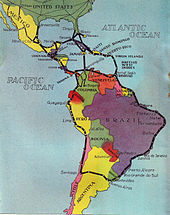 In April 1929 Trippe and his associates reached an agreement with United Aircraft and Transport Corporation (UATC) to segregate Pan Am operations to south of the Mexico – United States border, in exchange for UATC taking a large shareholder stake (UATC was the parent company of what are now Boeing, Pratt & Whitney, and United Airlines). The Aviation Corporation of the Americas changed its name to Pan American Airways Corporation in 1931. On July 5, 1937 survey flights across the North Atlantic began. Pan Am Clipper III, a Sikorsky S-42, landed at Botwood in the Bay of Exploits in Newfoundland from Port Washington, via Shediac, New Brunswick. The next day Pan Am Clipper III left Botwood for Foynes in Ireland. 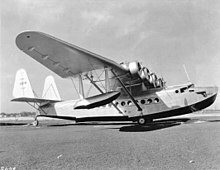 The same day, a Short Empire C-Class flying boat, the Caledonia, left Foynes for Botwood, and landed July 6, 1937, reaching Montreal on July 8 and New York on July 9. PAA's China Clipper  service cut the time of a transpacific crossing from as much as six weeks by sea to just six days by air. In January 1946 Pan Am had no transpacific flights beyond Hawaii, but they soon resumed with DC-4s. 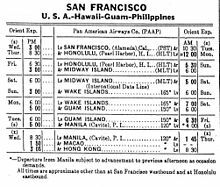 In January 1958 the California to Tokyo flight was a daily Stratocruiser that took 31 hours 45 minutes from San Francisco or 32 hours 15 minutes from Los Angeles. 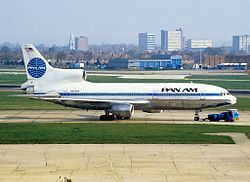 (A flight to Seattle and a connection to Northwest's DC-7C totaled 24 hours 13 minutes from San Francisco, but Pan Am was not allowed to fly that route.) The Stratocruisers' double-deck fuselage with sleeping berths and a lower-deck lounge helped it compete with its rival. "Super Stratocruisers" with more fuel appeared on Pan Am's transatlantic routes in November 1954, making nonstop eastward and one-stop westward schedules more reliably. 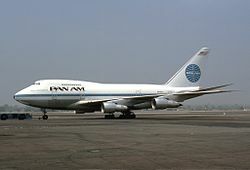 Pan Am was the launch customer of the Boeing 747, placing a $525 million order for 25 in April 1966. On January 15, 1970 First Lady Pat Nixon christened a Pan Am Boeing 747 Clipper Young America at Washington Dulles in the presence of Pan Am president Najeeb Halaby. During the next few days, Pan Am flew several 747s to major airports in the United States as a public relations effort, allowing the public to tour the airplanes. Pan Am began its final preparations for the first 747 service on the evening of January 21, 1970, when Clipper Young America was scheduled to fly from New York John F. Kennedy to London Heathrow. 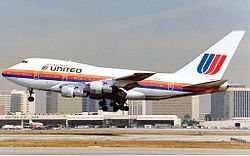 An engine failure delayed the inaugural flight's departure by several hours, necessitating the substitution of another 747, Clipper Victor, which eventually flew to London Heathrow. Passengers cheered and drank champagne as the jet finally lifted off from the runway at John F. Kennedy Airport. For years, more passengers boarded Pan Am flights at Berlin Tempelhof than at any other airport. Pan Am operated a Berlin crew base of mainly German flight attendants and American pilots to staff its IGS flights. The German National flight attendants were later taken over by Lufthansa when it acquired Pan Am's Berlin route authorities. Over the years other local flight attendant bases outside the US included London for intra-Europe and transatlantic flying, Warsaw, Istanbul and Belgrade for intra-Europe flights, a Tel Aviv base solely staffing the daily Tel Aviv-Paris-Tel Aviv service, a Nairobi base solely staffing the Nairobi-Frankfurt-Nairobi service as well as Delhi and Bombay bases for India-Frankfurt flights. Despite Pan Am's precarious financial situation, in summer 1984 Acker went ahead with an order for new Airbus models in wide body and narrow-bodied aircraft, becoming the second American company to order Airbus aircraft, after Eastern Air Lines. 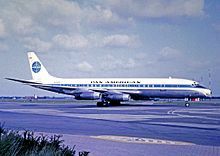 These advanced aircraft, economically and operationally superior to the 747s and 727s Pan Am operated at the time, were intended to make the airline more competitive. New A300s began replacing 727s on the Internal German Services (IGS) and Caribbean networks later the same year while new A310s later replaced some of the 747s on the slimmed-down transatlantic network following ETOPS certification (approval by the Federal Aviation Administration (FAA) of transoceanic flying with twin-engined aircraft). Pan Am's decision not to take delivery of the A320s and to sell its delivery positions to Braniff meant that the majority of its short-haul U.S. domestic and European feeder routes, and most of its IGS services, continued to be flown with obsolete 727s until the airline's demise. This put it at a disadvantage against rivals operating state-of-the-art aircraft with greater passenger appeal. 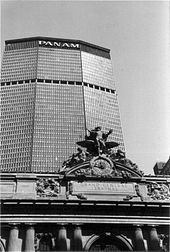 In September 1984 Pan American World Airways created a holding company called Pan Am Corporation to assume ownership and control of the airline and the services division. 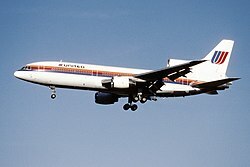 The acquisition of Pennsylvania-based commuter airline Ransome Airlines for $65 million (which was finalized in 1987) was meant to address the issue of providing additional feed for Pan Am's mainline services at its hubs in New York, Los Angeles and Miami in the United States, and Berlin in Germany. The renamed Pan Am Express operated routes mostly from New York, as well as Berlin, Germany. Miami services were added in 1990. However, the regional Pan Am Express operation provided only an incremental feed to Pan Am's international route system, which was now focused on the Atlantic Division. In June 1989 Plaskett presented Northwest Airlines with a $2.7 billion takeover bid that was backed by Bankers Trust, Morgan Guaranty Trust, Citicorp and Prudential-Bache. The proposed merger was Pan Am's final attempt to create a strong domestic network to provide sufficient feed for the two remaining mainline hubs at New York JFK and Miami. It was also intended to help the airline regain its status as a global airline by re-establishing a sizable transpacific presence. The merger was expected to result in annual savings of $240 million. However, billionaire financier Al Checchi outbid Pan Am by presenting Northwest's directors with a superior proposal. Under the terms of bankruptcy, the airline's International Flight Academy in Miami was permitted to remain open. It was established as an independent training organization beginning in 1992 under its current name, Pan Am International Flight Academy. The company began operating by using the flight simulation and type rating training center of the defunct Pan Am. In 2006, American Capital Strategies invested $58 million into the academy. 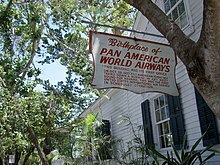 Owned by the parent of Japanese airline All Nippon Airways as of October 2014, Pan Am International Flight Academy is the only surviving division of Pan American World Airways. In 2011, ABC announced a new television series based on the lives of a 1960s Pan Am flight crew. 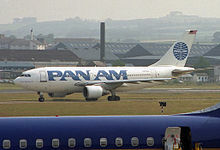 The series, titled Pan Am, began airing in September 2011. It was canceled in May 2012. On November 8, 1957, Pan Am Flight 7, a Boeing 377 Stratocruiser (N90944), Clipper Romance Of The Skies, disappeared over the Pacific Ocean en route to Honolulu. A week later debris and bodies were recovered. The definitive cause of the accident has never been determined. 44 passengers and crew lost their lives. ^ Grynbaum, Michael M. (August 4, 2010). "Delta to Move at Kennedy as End Nears for Old Home". The New York Times. Retrieved July 20, 2011. ^ Dunlap, David W. " Final Pan Am Departure." The New York Times. Friday September 4, 1992. Retrieved August 25, 2009. ^ a b c Salpukas, Agis. " Its Cash Depleted, Pan Am Shuts." The New York Times. Thursday December 5, 1991. Retrieved August 28, 2009. ^ Gray, Christopher (October 7, 2001). " Streetscapes/The MetLife Building, Originally the Pan Am Building; Critics Once Called It Ugly; Now They're Not Sure". New York Times. nytimes.com. Retrieved January 27, 2018. ^ " Pan Am Unit Sale". New York Times. nytimes.com. September 11, 1981. Retrieved January 27, 2018. ^ Salpukas, Agis. "PAN AM PLANS SALE OF PACIFIC ROUTES TO UNITED AIRLINES". The New York Times (23 April 1985). The New York Times Company. Retrieved March 12, 2018. ^ "COMPANY NEWS; Pan Am Unit To Be Bought". The New York Times. May 2, 1989. ISSN 0362-4331. Retrieved January 18, 2019. ^ DALLOS, ROBERT E. (October 24, 1990). "United to Buy Pan Am's London Routes : Airlines: The deal is worth $400 million. The carrier will gain gateways from five U.S. cities, including Los Angeles". Los Angeles Times. Retrieved March 12, 2018. ^ DALLOS, ROBERT E. (March 1, 1990). "Pan Am May Sell Its West Berlin Routes : Airlines: The money-losing carrier has been selling assets. It operates a shuttle-type service on about 75 daily Berlin flights". Los Angeles Times. Retrieved March 12, 2018. ^ Salpukas, Agis. "Pan Am is selling overseas routes and its Shuttle". The New York Times (12 July 1991). The New York Times Company. Retrieved March 12, 2018. ^ Ranter, Harro. "ASN Aircraft accident Boeing 727-21 N317PA Dallgow". aviation-safety.net. Retrieved February 11, 2019. ^ "arb | tegel airport | kings norton | 1968 | 1276 | Flight Archive". 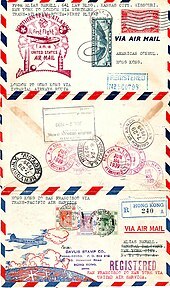 www.flightglobal.com. Retrieved February 11, 2019. ^ Koerner, Brendan (June 18, 2013). "Nguyen Thai Binh picked the wrong plane to hijack". Slate Magazine.